When the sky is blue and summer lupines are booming across the alpine grasses, Mount Rainier is one of the most beautiful places in the world. The park is often blanketed in fog, so if you see the park on a clear day, consider yourself very lucky. There is a lot to see. The 14,411-foot volcano is covered with more glaciers than any other mountain in the lower 48. 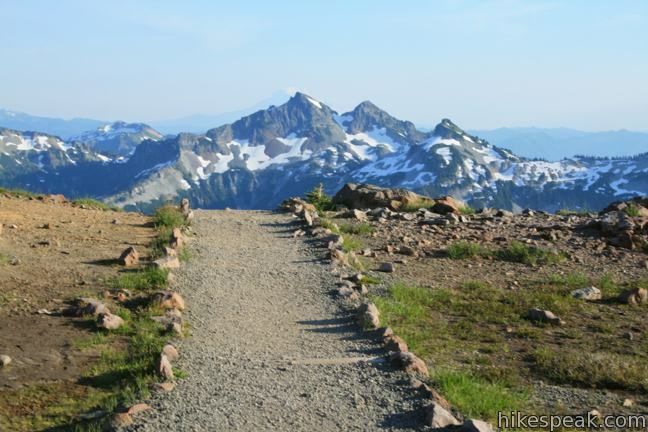 It is the highest summit in the Cascade Mountain Range and all of Washington. [Mount Rainier] is the most topographically prominent mountain in the contiguous United states … [and] is considered one of the most dangerous volcanoes in the world. 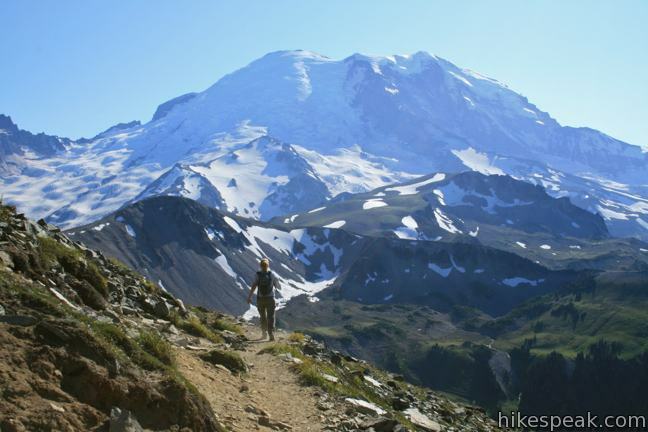 The nearest trailheads to Mount Rainier are called Paradise and Sunrise,accompanied by historic lodges and visitor centers. To summit Mount Rainier requires technical climbing and is best attempted through a guide service. Mount Rainier National Park was the nation’s fifth national park, born on March second, 1899. The park protects 368 square miles of Central Washington and offers hundreds of miles of hiking trails. 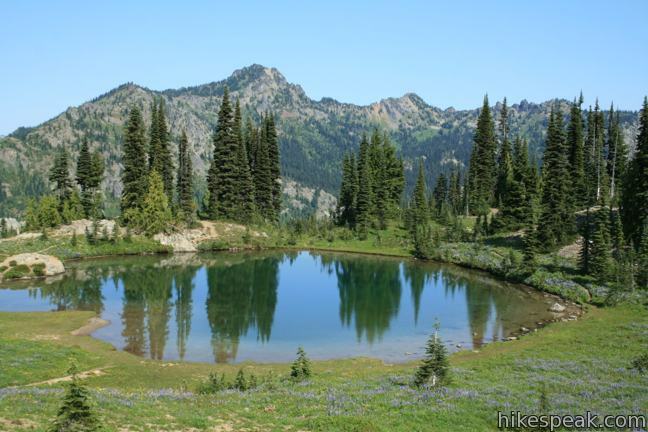 Campgrounds are available inside Mount Rainier National Park as well as within the surrounding national forest. 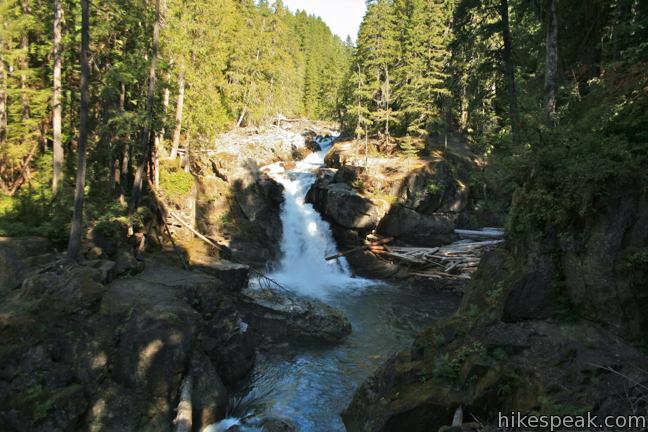 This collection of trails in Mount Rainier National Park lists hikes from north to south. The table may also be sorted alphabetically or by distance to help you pick your next hike. Each trail links to its own report complete with photos, GPS maps, elevation profiles, directions, and all the other information needed to locate and enjoy these hikes. Below the table is an interactive map showing the location of each hike.